4 Basic tips for investing in real estate | Southern Realty Inc. 4 Basic tips for investing in real estate – Southern Realty Inc. If you are thinking of investing in real estate, it is best to consider a few basic areas to ensure you make a sound investment. Here are 4 basic tips when investing in real estate. Location – Location is important when investing in real estate. Look at buying the worst house in the best street. This is because you will get the house for next to nothing and a good quality location. This type of property will require some fixing, but it will be able to fetch a higher price. Look for wholesale properties – Look for wholesale properties that need work, but those that will receive a good selling price. 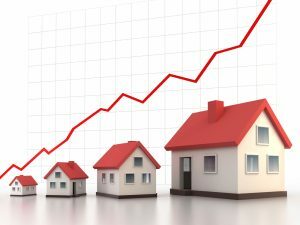 This means that you will have to research the real estate market and look at investing in upcoming neighborhoods. It is important that you are not looking to sell your investment in the very near future. You should at least be willing to hold on to it for 5 years or more. Understand the tax benefits –When you buy a property that includes a building, you can write off the depreciation costs. It is best to consult a tax advisor to understand the specifics. Remember that you can depreciate a residential building over 27 years and a commercial building over 39.5 years. Check your credit report – Most investors will have to borrow money to finance their investment. Therefore it is important to check your credit report.